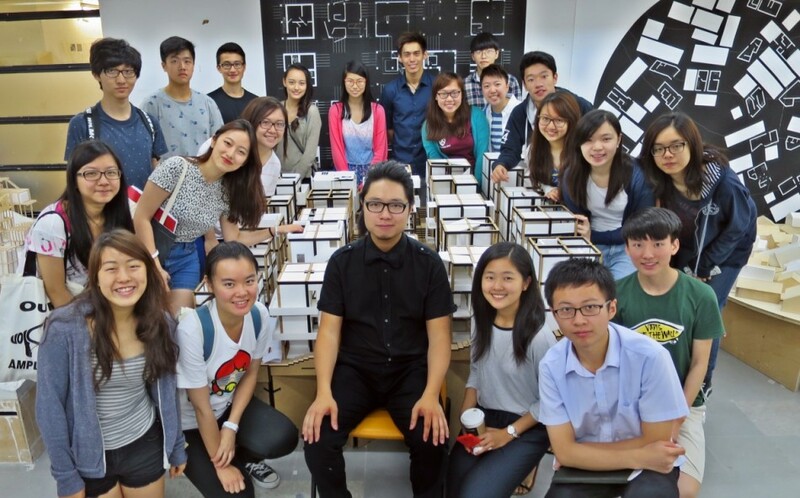 2014 September: HKU Bachelor of Arts(Architectural Studies) program was recently reformed. 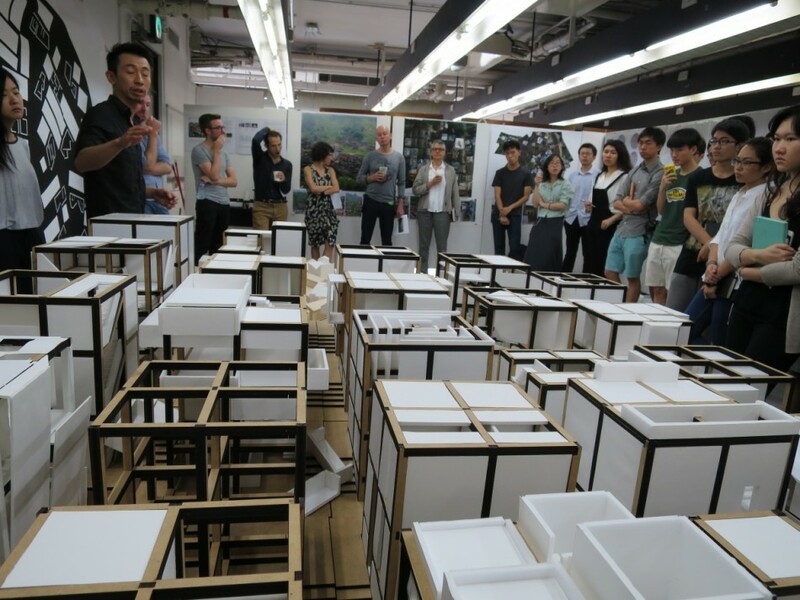 It is a four year program (was three-year) consisting of 7 semesters of studios. 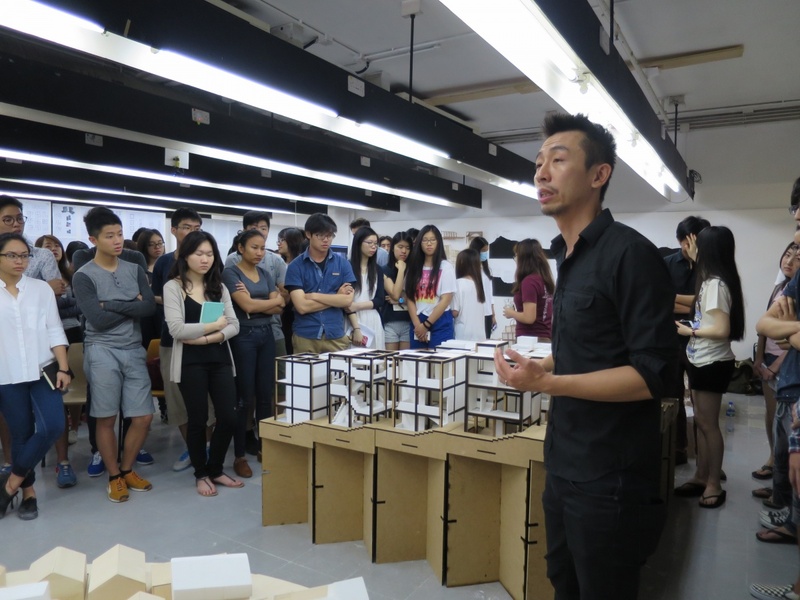 The studio Victor Leung teach is the first studio for the undergraduate students in Spring 2015. 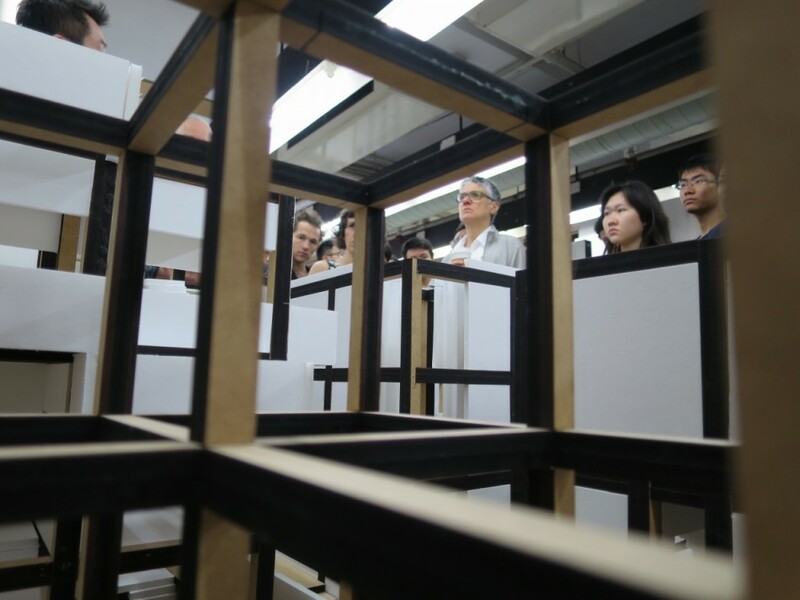 The goal is to get them prepared with architectural design methods and skills necessary for the studios to come. The task is to train them both in technical skills and rational thinking. The studio meets twice a week, consisting of technical tutorials and desk crits. There are two other studios running in parallel, with a slightly different brief, by Jason Dembski and Donn Holohan. Each teacher had ~24 students. 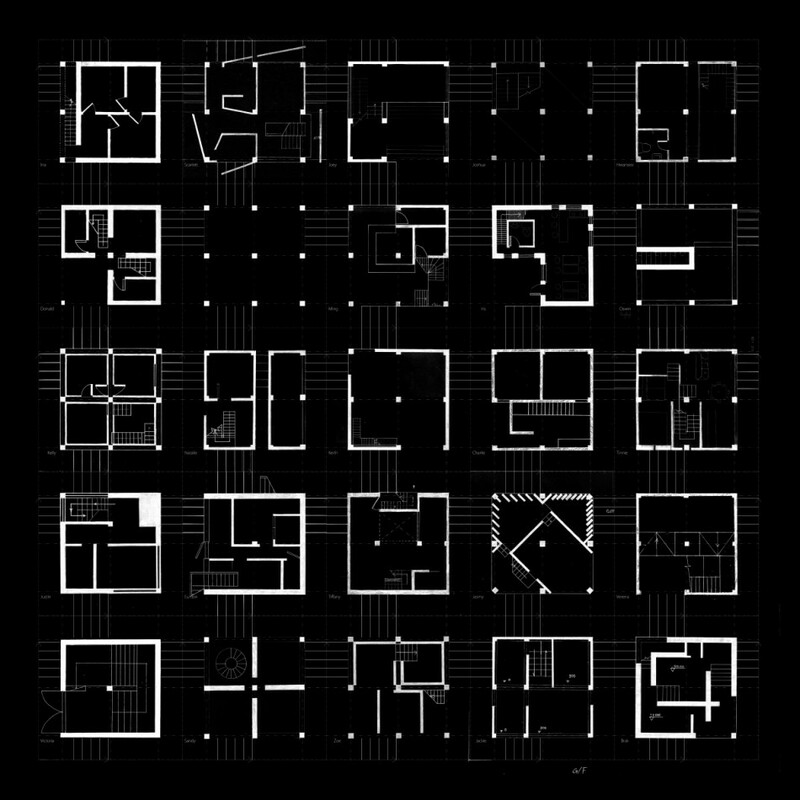 My studio’s brief is to design a house in a dense village grid, simulating the situation of some modern Chinese villages that had really-bad town planning, and trying to see what can be done at the architect’s point of view. Each student gets a square plot (6m x 6m) in a slightly slopping terrain, a 3m span concrete frame are given to them as starting point, alleys of 3m wide separate plots on all four sides. They are asked to design a living space for a family and can choose to add an extra program if they wish to. 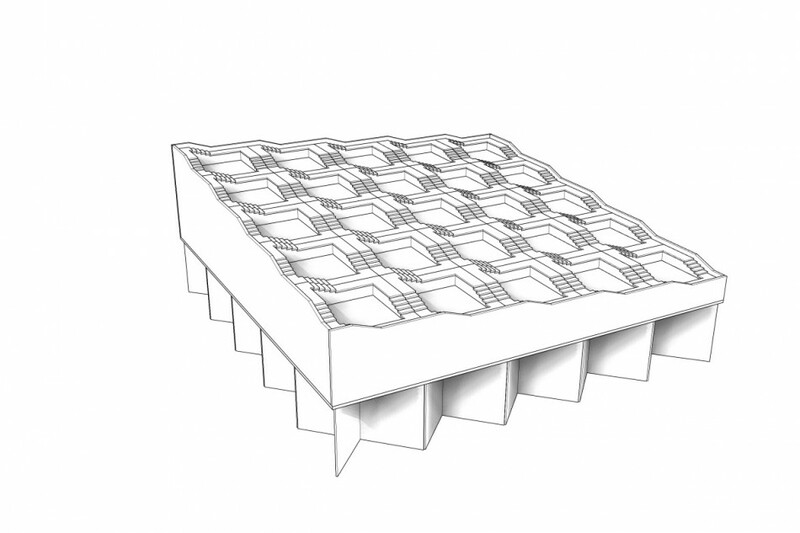 The semester ask for a series of assignments such as conceptual sketches, drawings and models. I hope to improve student’s skill along with design exercise. 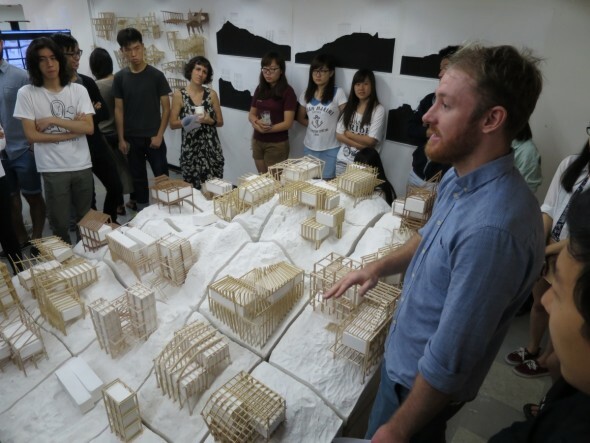 A sloping terrain containing 25 plots are given, students choose their own neighbors and self organize to find their plot. A concrete frame is given to them as a starting point. They could alter the frame as they see fit. Videos showing the progressive construction of the models. 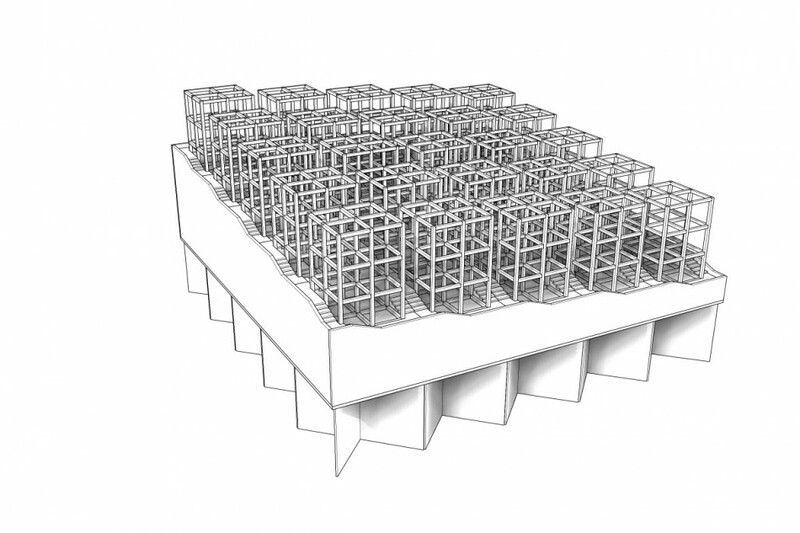 The circulation, stairs, slabs, walls, roofs are progressively added which reveals the functional difference in all of them. Studio coordinator introducing the three studios during final review. Prof. Nasrine Seraji came to the final review. Donn Holohan’s Group with their timber buildings on mountain. 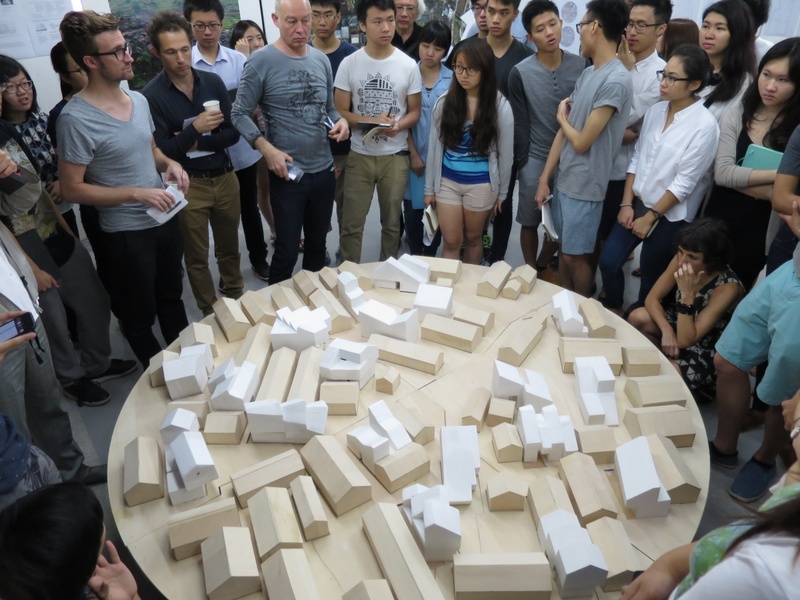 Jason Dembski’s Group with their cast solid-void buildings in a organic village. My group of students with the concrete frame houses in a dense village.